Battlecry, the newest album by Two Steps from Hell, was released on April 28th. Now that I’ve had time to listen through the album several hundred times (or at least fifty) I’ll give a rundown of the top ten tracks. Overall, Battlecry was fantastic and lived up to all my expectations. It couldn’t beat out Sun for my favorite album, but it is a worthy addition to the TSfH legacy. It’s very much a throwback album, in that the overall tone is reminiscent of their earliest releases, such as Invincible, with a largely heroic, epic feel (as opposed to Miracles, which was mainly soft and beautiful, and also different from albums like Illusions and Sun, which are chiefly filled with niche music – some tribal or cultural, others ethereal or indescribable). There are 26 tracks; I’ll count down the top ten – all of which are must haves. “Release Me” is a great track, with strings providing a large portion of the background to produce an almost frenetic backdrop for a straightforward vocal, french horn, and string chorus that is pushed forward by a french horn harmony. A powerful track driven by a rhythmic beat. The feel of the music is Viking-esque, and the pounding rhythm brings to mind a longboat of raiders keeping in time with their oars. This was one of those tracks that didn’t originally impress me, but which grew on me the more I listened. Now, it’s one of my favorite on the album! This is a bracing song that slams you back in your seat from the very beginning. It’s filled with synthesizers, and a hectic flurry of strings provides the cornerstone for the rest of music to build upon. It’s also been recently released as a single, extended, vocal version featuring Two Steps from Hell regular Merethe Soltvedt under the title “Children of the Sun,” which is also fantastic. “Stronger Faster Braver” starts out soft with some light flutes and chimes, but it slowly builds into an awesome french horn melody that ultimately becomes a potent horn/vocal combination punctuated by electric guitar. A swashbuckling track that sounds like it was pulled straight out of a pirate adventure, “Cannon in D Minor” features a largely horn chorus with heavy percussion and string additions. As the title states, this is the instrumental version of “Star Sky” which is also on Battlecry. The vocals from “Star Sky” have been removed for the instrumental version, leaving an orchestral masterpiece of horns, strings, flutes, percussion, and bass. The leading violin in the melody is absolutely gorgeous. A heavy piece with notable strings (as both the backdrop and melody in some areas), horns, and trombones. The bass provides a smashing harmony in the background, and Bergersen (who I assume put this one together, but it could have been Nick Phoenix) pulls out all the stops with the horns on this one, really allowing them to let loose. A vocal choir comes in to put the finishing touches on the high points. The original version of “Star Sky,” vocal included. At first I was put off a bit by the vocals, but the more I listened to it, the more I liked it! Now, I prefer it to even the instrumental version. “Flight of the Silverbird caught my attention from the beginning. It starts out slow and beautiful with a marvelous flute solo, which transitions into strings, then horns, then electric guitar, and, finally, a combination of them all. Just magnificent. And there you have it, “Victory” comes in at #1 by a landslide, and easily secures itself a top three in my all-time-favorites. Battlecry proved itself as yet another Two Steps from Hell masterpiece. If you’d like to try their music, I’d suggest starting with their first album, Invincible, or pick up a copy of Battlecry! Albums by Two Steps from Hell include: Invincible, Archangel, Skyworld, Miracles, Illusions (Thomas Bergersen), Sun (Thomas Bergersen), Classics Vol. 1, Colin Frake on Fire Mountain, Halloween, and Battlecry. How does my list match up to your favorite Battlecry songs? I’d love to hear everyone’s opinion. This entry was posted in Uncategorized and tagged Across the Blood Water, Archangel, Battlecry, Cannon in D Minor, Classics 1, Colin Frake on Fire Mountain, Dakota Kemp, Flight of the Silverbird, Halloween, Illusions, Invincible, Miracles, None Shall Live, Release Me, Skyworld, Star Sky, Stronger Faster Braver, Two Steps from Hell, Unforgiven, Victory on May 13, 2015 by Dakota Kemp. Battlecry – the newest album by Two Steps from Hell is arriving April 28! Those of you who know me well are aware that I am an enormous Two Steps from Hell fanatic. For those of you who are unfamiliar with Two Steps from Hell, TSfH is an epic music group that produces orchestra/choir music for use in movie trailers, promotional material, etc. (“Epic” is used as a category here, not an adjective – though epic is certainly an adjective that could be used to describe TSfH’s music). Two Steps from Hell has two members – Thomas Bergersen and Nick Phoenix – who compose and conduct every song the group produces. I never sit down to work on my novels without putting on a Two Steps from Hell playlist. Two Steps from Hell’s newest album, Battlecry, is scheduled to release April 28. It would be a gross understatement to say that I’m frickin‘ excited. The last album they released – Sun – exceeded all of my expectations in every way, and I’m certain Battlecry will only deliver more of the pulse-pounding, heartrending, jaw-dropping music for which TSfH is now famous. Since I pre-ordered the album the literal second after I found out about the new release (naturally), I’ve gotten to listen to a few of the advance tracks, and, I assure you, they are spectacular. For those of you who’ve never heard of TSfH, I strongly encourage you to try give their music a try. I could attempt to describe it, but I really wouldn’t be able to do it justice. Try listening to the song I’ve included here, “Heart of Courage”, (possibly TSfH’s most famous song) from the album Invincible. If you’re new to Two Steps from Hell, but you’d like to discover more of their fantastic music, I’d recommend starting with Invincible, their first public album. Or, give Battlecry a shot – I’m sure it won’t disappoint. This entry was posted in Uncategorized and tagged Battlecry, Cannon in D Minor, Dakota Kemp, Heart of Courage, Invincible, Nick Phoenix, Thomas Bergersen, Two Steps from Hell on April 21, 2015 by Dakota Kemp. The Arrival on sale for $.99! Today, February 26, my award-winning epic fantasy novel, The Arrival, is on sale for $.99 on amazon.com for kindle! If you’re a fan of Game of Thrones, The Lord or the Rings, Eragon, or the fantasy genre is general, this is the book for you! Unsure if you want to spend a dollar on a book when you could get something from the dollar menu at McDonald’s instead? Here’s what professional book reviewers are saying about The Arrival. Maybe they can change your mind. Interested? Purchase from amazon here! 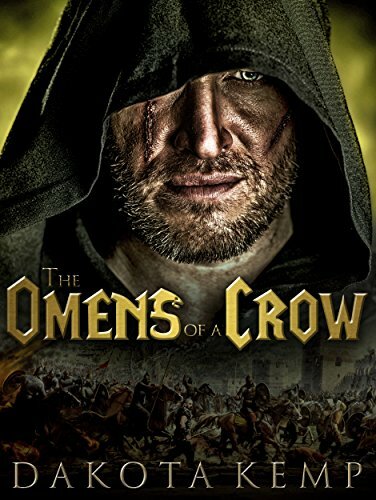 This entry was posted in Uncategorized and tagged amazon, Ascension, Dakota Kemp, Eragon, fantasy, Game of Thrones, sale, The Arrival, The Lord of the Rings on February 26, 2015 by Dakota Kemp. 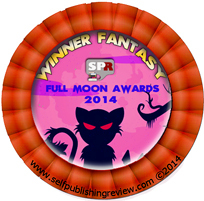 As a part of the celebration for the Full Moon book awards, the Self-Publishing Review conducted author interviews with the winners of the three Full Moon categories – Horror, Fantasy, and Science Fiction. I was ecstatic when The Arrival won the Fantasy Full Moon Award, and I couldn’t have been more delighted when SPR co-founder Cate Baum asked if I would be open to an interview. In the meantime, I’ll see if I can get permission to post the interview in its entirety. Further topics in the interview include insights into self-publishing and a look at my personal experience in writing, editing, and publishing. I hope everyone finds my musings interesting and/or helpful. This entry was posted in Author Interviews and tagged Cate Baum, Dakota Kemp, Full Moon Awards, Full Moon categories, Self-Publishing on November 11, 2014 by Dakota Kemp. 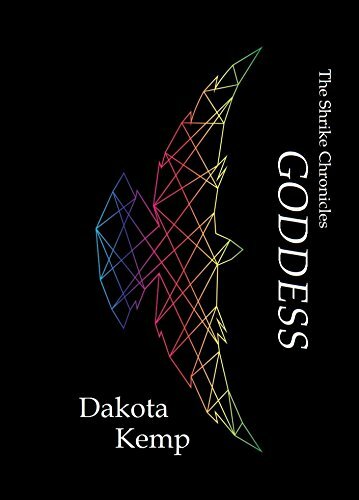 I’m pleased to announce the release of my second published work – Goddess of The Shrike Chronicles. Both kindle and paperback copies are available on amazon.com! If you enjoyed The Arrival or are a science fiction fan, Goddess is right up your alley. I’m looking forward to seeing how well this new release gets off the ground. I’ll appreciate any support you can give – whether that is a purchase, a re-post, a like, or telling a friend by word of mouth. Thanks everyone! Please note: Goddess is an adult novella. It is not intended for a young audience. Goddess contains violence, strong language, and some adult themes and settings. 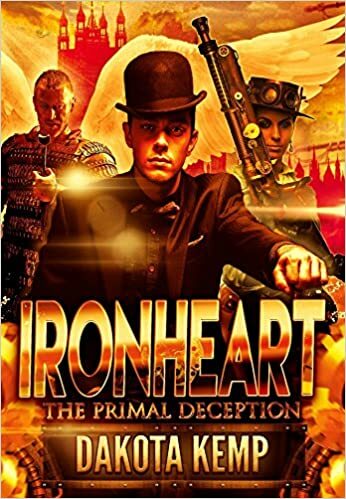 This entry was posted in Book Announcements and tagged action and adventure, amazon, Dakota Kemp, Goddess, romance, science fiction, The Shrike Chronicles on November 1, 2014 by Dakota Kemp.